«You just learn to live» illustrated quotation. Loss and grief, free quote pictures for Facebook, Twitter, LinkedIn, Reddit, Pinterest and other social networks. 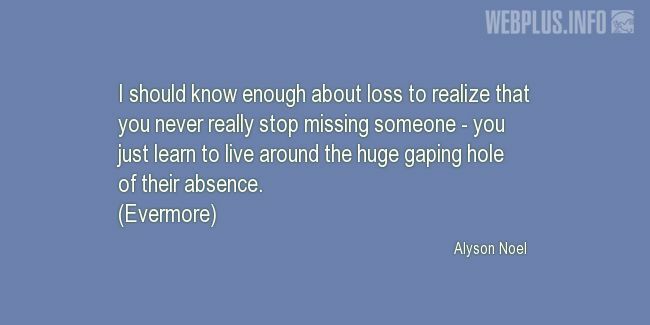 I should know enough about loss to realize that you never really stop missing someone - you just learn to live around the huge gaping hole of their absence.